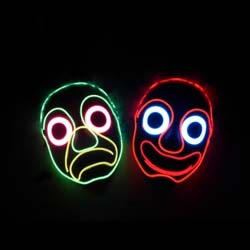 Here’s another fabulous creation from The Flashing Frog ‘Freds Cocktail Bar’ a neon style sign made from our very own EL Wire and I have to say it really looks like real neon. And guess what! he’s been kind enough to share his in depth walkthrough and tips with us on his amazing blog. 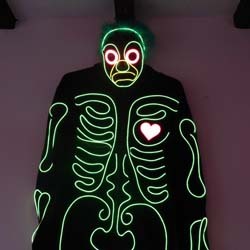 Or you can check out his el wire creations youtube channel. If you are lucky, you just might be able to snap up one of his originals or commission him to make one just for you. 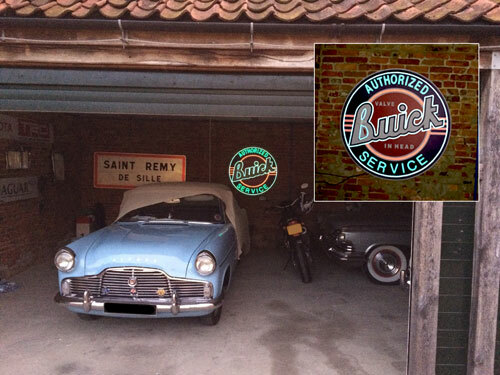 Kudos to Jonathan, who has lovingly reproduced this Buick motor car sign in EL Wire, which now stands proud on his garage wall along side his very own Buick. But in this case its a smack in the gob that leaves you emotionally bruised! The result is….. 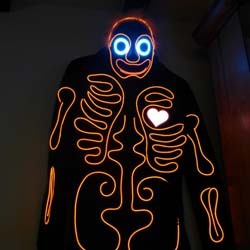 Extreme Glowing Kayaking!